The emergency notification system for Wartburg College, WartburgAlert, will be tested around noon Thursday, May 3. WartburgAlert is tested, at minimum, once per term. Alerts aren’t automatically sent. You have to register your phone in order to receive them. There is no charge for registering, and you may register up to two numbers for text notification and two numbers for voice phones. You are strongly encouraged to register a SMS number to receive a text, as it is the quickest and most reliable means of notification. To register, log into InfoCenter, select Offices, Safety and Security, then WartburgAlert. If you have problems registering, come to the Campus Security office Monday through Friday, between 8 a.m. and 4 p.m. To verify if you are registered before May 3, send an email to campus.security@wartburg.edu, and we will confirm your registration. Starting Monday, April 30, Bremer Avenue will close completely in both directions for work on the railroad tracks near the Pizza Hut on the west and at the 12th Street NW intersection on the east. This is expected to take four weeks to complete and should be done by Memorial Day weekend. Wilson Avenue (north of Bremer Avenue) will also be closed at the railroad tracks, so the north detour traffic must use Fifth Avenue NW. South detour traffic must use Second Avenue SW or 10th Avenue SW. Click here to see a map of the closure and the recommended alternate routes to campus.ac. Apply to be a morale captain for Wartburg College Dance Marathon 11. For more information or to apply, click here. The application deadline is Friday, May 4, at 5 p.m. Core drilling has continued in Lohe and Grossmann halls this week. Clinton Hall Cat 6 cabling has been completed. Contractors are working on installing racks in Founders Hall. The college has received the second quote for installing the door locks. Once we verify they can be left in “unlocked” mode until the wireless network is installed, installation will proceed. Go to the Security Update on the InfoCenter to see previous reports. The Mail Center reminds you to please check your mailbox before you leave campus for the summer. Mail forwarding will start May 29 unless you have contacted us to ask to start earlier, but not all mail can be forwarded. 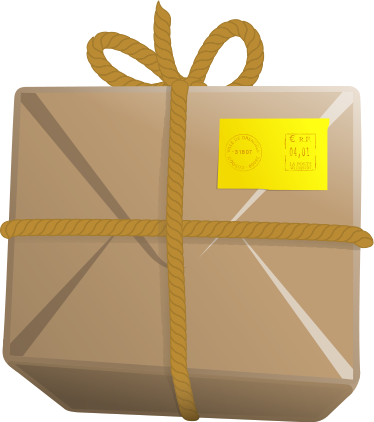 Items unable to be forwarded may be assumed abandoned and disposed of. If you are permanently leaving campus, we advise that you take a moment and remove your Wartburg address from your online shipping accounts – it will save you headaches later! Are you staying on campus or in Waverly this summer? Your campus mailbox can stay open, but you do need to notify the Mail Center that you wish to keep receiving mail at your campus box. Students who do not request to keep their box open for the summer will have their mail forwarded. Email mailroom@wartburg.edu with requests to keep your campus mailbox open for the summer. The Landscape and Natural Resource Committee would like to let the campus community know about upcoming work. To prepare the area in the center of Afton Manors for a more natural, sustainable, low-maintenance prairie planting, we must kill all the vegetation. The grounds crew will conduct a controlled spraying of this area, as weather allows. The seed will be planted shortly after. Waverly Utilities needs to remove the four trees east of the Operations & Maintenance Office building that are reaching the electrical lines above. The utility is providing certificates for replacement trees, which will be used to develop a learning area for biology faculty. Direct questions to anne.duncan@wartburg.edu. Also, as a reminder, the policy outlines the responsibility of the department or organization hosting the camp to work with the vice president for administration to ensure that the camp is insured appropriately. Direct questions about the policy to Tracy Rucker, controller, 352-8238. The Student Life Office is piloting a summer storage program for returning out-of-state students. Wartburg faculty and staff volunteers will store items for students over the summer break, free of charge. Certain conditions apply, and you must arrange to your own transportation to and from the storage facility. This is a trial program and is currently only available to students who reside out of state. Contact Jennifer Onuigbo in Student Life for more information. For students who are moving out after finals, donation stations located in the residence hall lounges will be collecting a variety of items such as clothes, room décor, bedding, housewares, and unopened hygiene items. If you are donating appliances that will not fit in the bins (lofts, furniture, carpets, electronics, appliances), please place them outside next to the dumpsters. The Sustainability Office will also be accepting packaged and canned non-perishable goods, as well as perishable foods, which we will make available for students who may be here after finals. Contact Anne Duncan. If you are NOT on campus for May Term and would like your mail forwarded, please email mailroom@wartburg.edu to add your name to the forwarding list. Summer forwarding will start May 29. Be sure to check your forwarding address in the Directory in InfoCenter, and submit any address changes or updates to the Registrar’s Office. The gallery is open daily, 9 a.m.-7 p.m. Direct questions to Johanna Kramer-Weston, 319-352-8386. The Department of Religion and Philosophy will induct Allison Maybee, Sierra Mastin, Alexis Swain, Kathryn Linthicum, and Alisha Ungs into the Alpha Epsilon Theta Chapter of Theta Alpha Kappa on Tuesday, April 17. Civil rights leader F.D. Reese, who was awarded an honorary degree from the college in 2006, died April 5 in Atlanta, as reported by the Montgomery Advertiser. Wartburg students Sulibeth Velez, Hunter Baldus, Grace Byram, Alexies Esotto, and Jacob Hodge competed as finalists in the Neeley Entrepreneurship Center Values and Ventures Business Plan Competition at Texas Christian University in Fort Worth, Texas, April 6 and 7. The team developed its business plan under the guidance of Dr. Allan Bernard, professor of business administration, and was sponsored by Wartburg graduate Michael Murphy ’89.